The South African Military Ombud’s office and the Office of the Public Protector have signed a five year memorandum of understanding (MoU) to provide a framework for co-operation and collaboration between the two institutions. It is aimed a sharing information and enhancing the effectiveness and efficiency of both Military Ombud head of communication Nthombikayise Mdluli Jacha said. 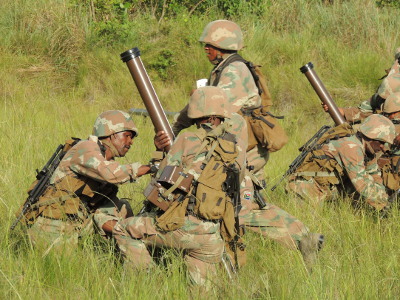 The Military Ombud was established in 2012 to investigate written complaints made by serving and former members of the SA National Defence Force (SANDF) about problems with conditions of service. The office also investigates complaints made by the public against unseemly or untoward conduct by soldiers in public. Jacha said the concept of South Africa having a Military Ombud was partly triggered by the Public Protector six year ago when military personnel “inundated” the Office of the Public Protector with complaints about the plight of retired soldiers and military veterans. “Grievances of this nature highlighted the need for a speedier mechanism with the necessary expertise to resolve the complaints expeditiously,” she said. Part of the just announced Ombud/Public Protector MoU reads “where a party receives a complaint, which falls within purview of the other party’s mandate, the receiving Party shall refer the complaint to the other Party for consideration or may refer the complainant to the said Party for further assistance”. Where allegations fall into the purview of both the Military Ombud and the Public Protector, decision will be taken as to which party is best suited for investigation or if a joint investigation is warranted. Military Ombud retired lieutenant general Temba Matanzima said the agreement was important. “The Public Protector is an important strategic partner and I am optimistic this agreement will benefit the soldiers who are our most important stakeholders,” he said adding soldiers who received assistance from the Public Protector before the Military Ombud came into being was proof of that institution’s ability to work with and for soldiers.